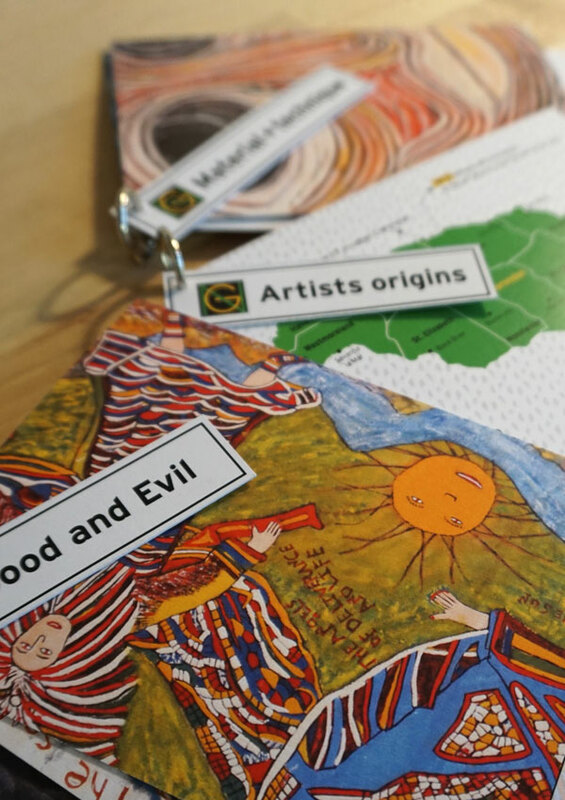 NGJ Focus Fan: Concept of an educational tool for the National Gallery of Jamaica in Kingston in cooperation with the NGJ education department. 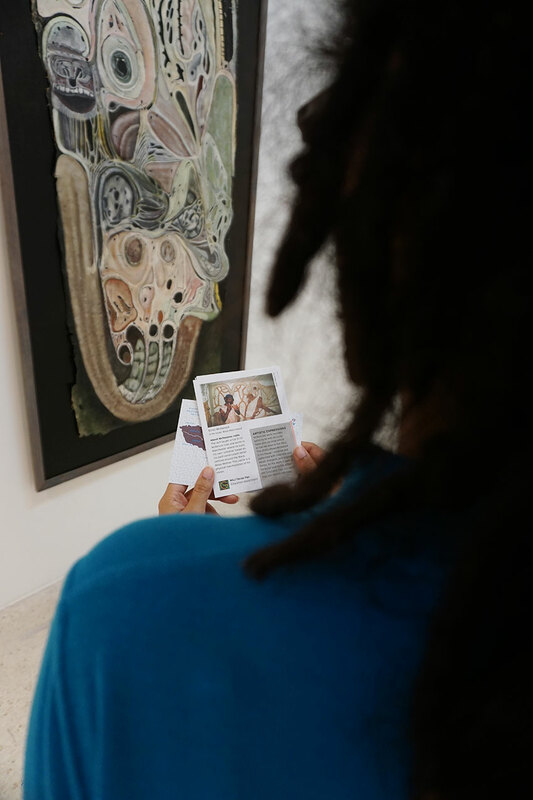 Every "fan" consists out of several cards focusing on one aspect of the exhibition. 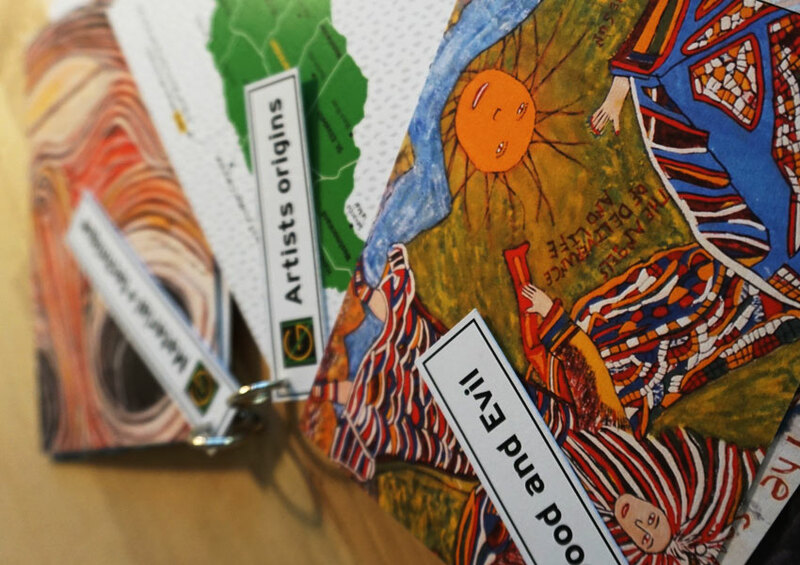 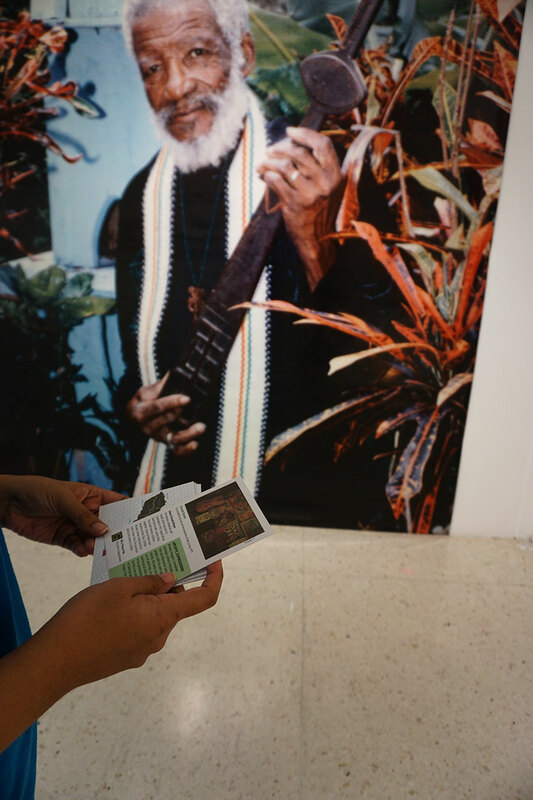 While one fan concentrates on the aspects "material and technique", another highlights the "artists' origins" which can be followed on little maps of Jamaica. 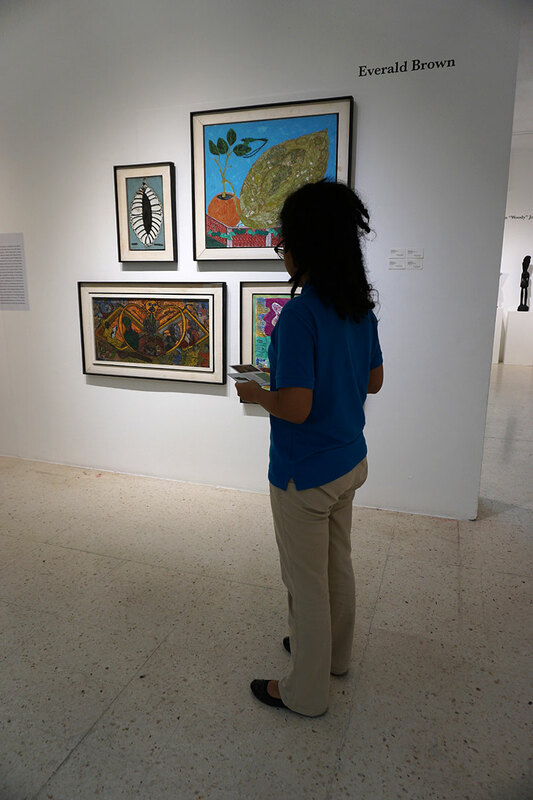 Through this concept, visitors will get exposed to different views of the exhibition and can explore the "Spiritual Yards" of Jamaican intuitive artists in their own pace.